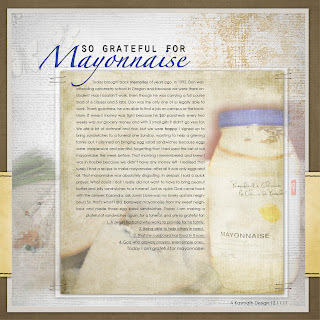 Had fun redoing this old scrapbook page! I didn't like how I scrapped it and so decided to use my blending to see what I could do with it. 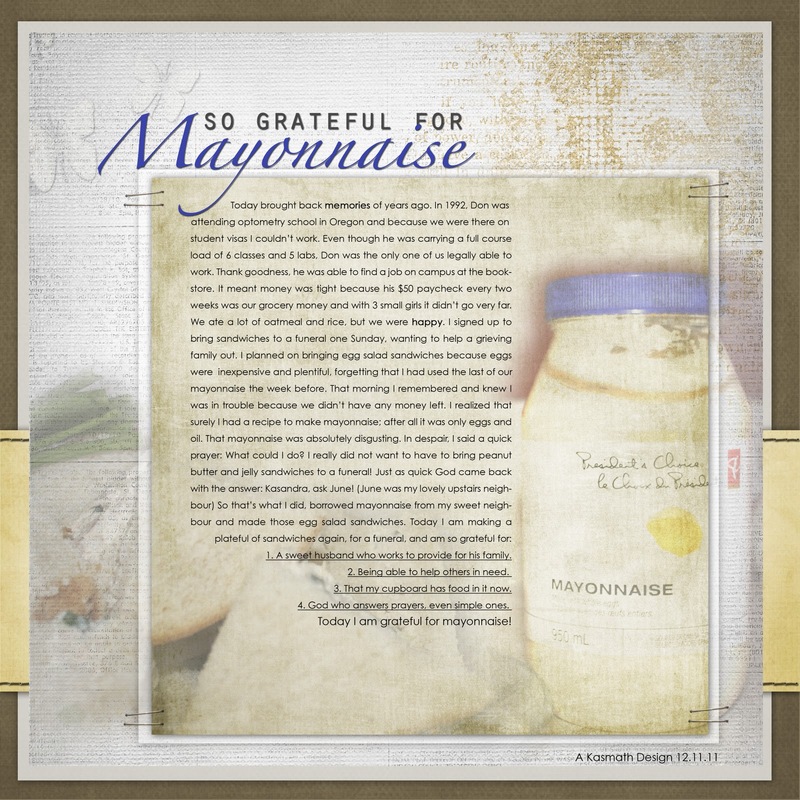 Followed one of Jana Morton's lessons in Blending and Beyond and ended up pretty happy with this page, although don't know if I want to do this much work on a jar of mayonnaise again. It does remind me of how important journaling is though! Happy day at home but I start Seminary again tomorrow so it will be a busy week especially because we have Melodie's Missionary open house this weekend!